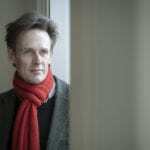 Ian Bostridge has enjoyed a long and distinguished relationship with the Wigmore Hall, appearing there each season for the past seventeen years, and it has been a relationship at the core of his international recital career. It was therefore a particular honour to be invited by John Gilhooly to present his own residency over the 2011/2012 season, six programmes over seven concerts under the banner of Ancient and Modern, the series running from September 2011 and concluding last Saturday as the final event of the Wigmore season. 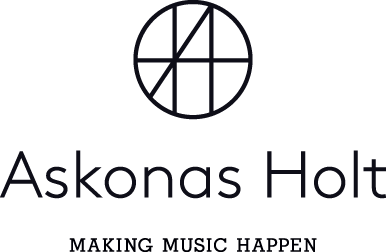 Highlights from the series will be released on the Wigmore Hall Live label next year. The range of programming allowed Ian the opportunity to explore the juxtapositons of old and new, from Scarlatti and Handel in the opening concert to Cage, Britten and Henze in the closing recital, from Dowland’s Lute Songs to Peter Warlock’s re-workings of Elizabethan Song, from interpretations of the ancients by Handel, Britten and Satie to a shared programme of Monteverdi and Stravinsky. It also provided Ian with the opportunity to be joined by many of his closest colleagues and friends – Angelika Kirchschlager, Harry Bicket, Julius Drake, Graham Johnson, Elizabeth Kenny, Xufei Yang, Lawrence Cummings, Nicholas Collon, Sophie Daneman, Madeleine Shaw, Neal Davies, Nicholas Daniel, Adam Walker, the English Concert, the Aurora Orchestra, the Heath Quartet. Having in recent years enjoyed artistic residencies at the Amsterdam Concertgebouw, New York’s Carnegie Hall, the Luxembourg Philharmonie, London’s Barbican, the Vienna Konzerthaus, the Schubertiade Schwarzenberg and with the Hamburg Laeiszhalle to come in 2013, it was an especial joy to be able to present such a rich and varied series of programmes in his “home” Hall under the patronage of John Gilhooly and his team.